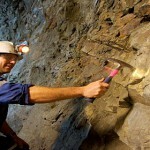 Underground hard rock mining contractor Barminco has announced the resignation of CEO Neil Warburton. 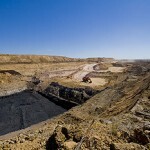 A reason was not given for his resignation, however the company stated that the timing was appropriate as it is prior to the mining contractor’s move onto the ASX. Barminco chairman Jock Muir said it is important for the company to have a senior executive team in place prior to the listing who were committed to a long term tenure at the company, adding that Warburton was not in a position to commit to a multi-year tenure sought by the Board. "Naturally it is disappointing to lose someone of Neil’s caliber, however we believe it is essential a long term, stable executive team is in place before we consider revisting the IPO process." In June, the contractor pulled its $600 million listing. At the time, Barminco cited unfavourable and volatile market conditions, adding that it found no appetite for risk in its investment. 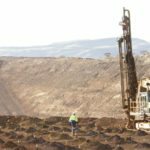 However at the time both drilling contractors Redpath and Ausdrill were put forward as a possible suitors; Ausdrill in part due to its African joint venture with Barminco – African Mining Services, according to the Business Spectator. Muir thanked Warburton for his contribution to Barminco, stating that "he will be leaving the company in great shape, with the current order book in excess of $1 billion". He went on to say that Warburton will stay in his position until a new CEO is appointed.